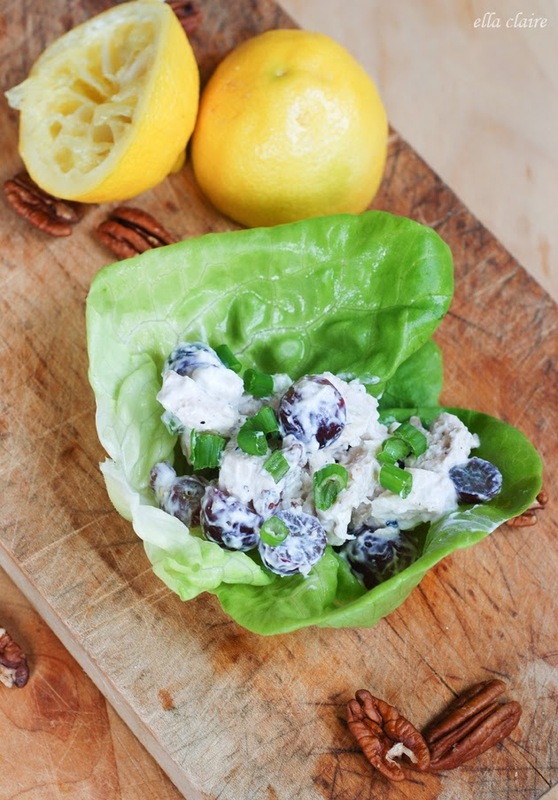 I am so happy to be sharing my fun lettuce wrap recipes this weekend! 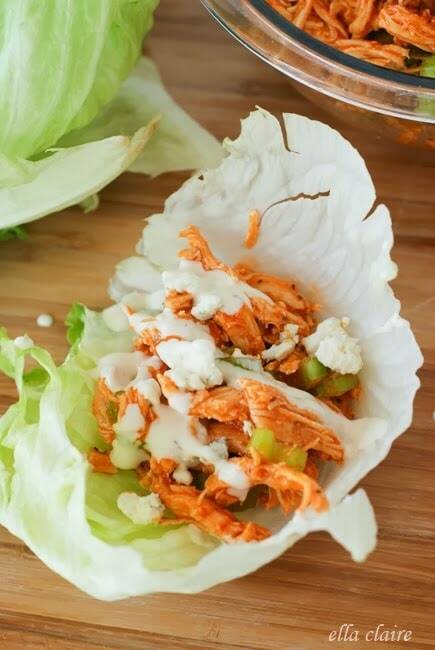 There is nothing like yummy fresh foods out on the patio in the summertime, so I thought I would share some great wrap recipes to add to your summer meal routine. 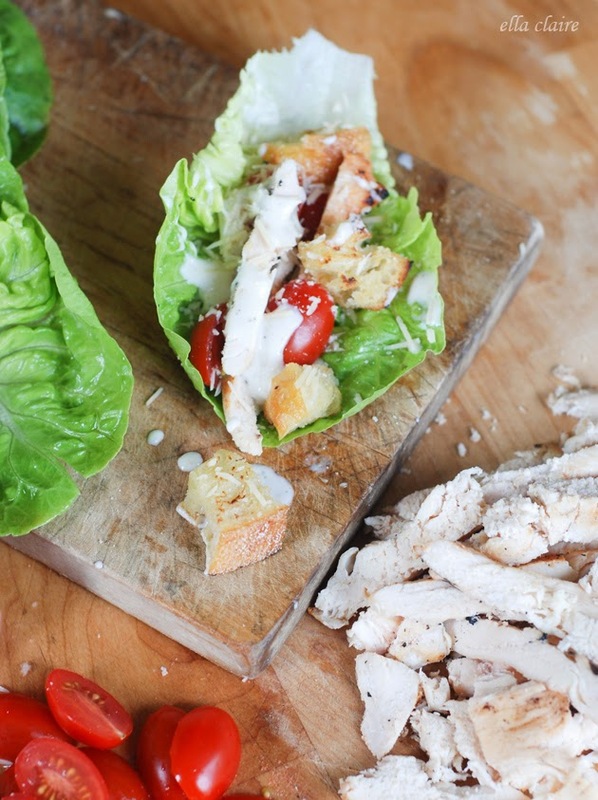 These Chicken Caesar Lettuce Wraps with Homemade Stovetop Croutons are a perfect summer meal. They are SO simple to whip up, full of flavor, fresh and absolutely delicious! First, you will want to make the croutons. The thing that just puts this lettuce wrap over the top with deliciousness is the homemade stovetop Parmesan croutons. These are super easy to whip up, and I use them a lot for other salads too. You can use this same general idea and add other herbs to make different flavors. They are a softer crouton… and they are completely decadent. I always love when I don’t have to turn on the oven in the summer! 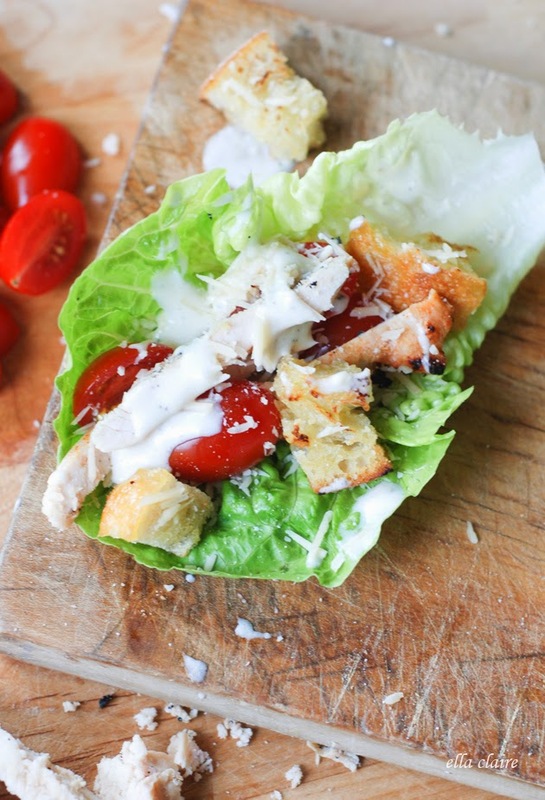 To assemble, hold a lettuce leaf in your hand and layer the chicken, tomatoes, croutons. Drizzle with Caesar dressing and sprinkle with a little Parmesan cheese. Dump bread cubes into a nice heavy pan. Drizzle evenly with olive oil and toss until coated. Cook on medium high heat, stirring and tossing occasionally until crusty and golden brown. Remove from heat and sprinkle with Parmesan. Set aside for a few minutes while the Parmesan melts onto the croutons. I like to serve my wraps buffet style. I usually put each ingredient on different plates, or in sections on a platter. This way, each person can put as much or as little of each ingredient as they want on their lettuce. NOTE: If you would like a crispier crouton, leave the bread cubes out on the counter for a couple of hours before cooking. 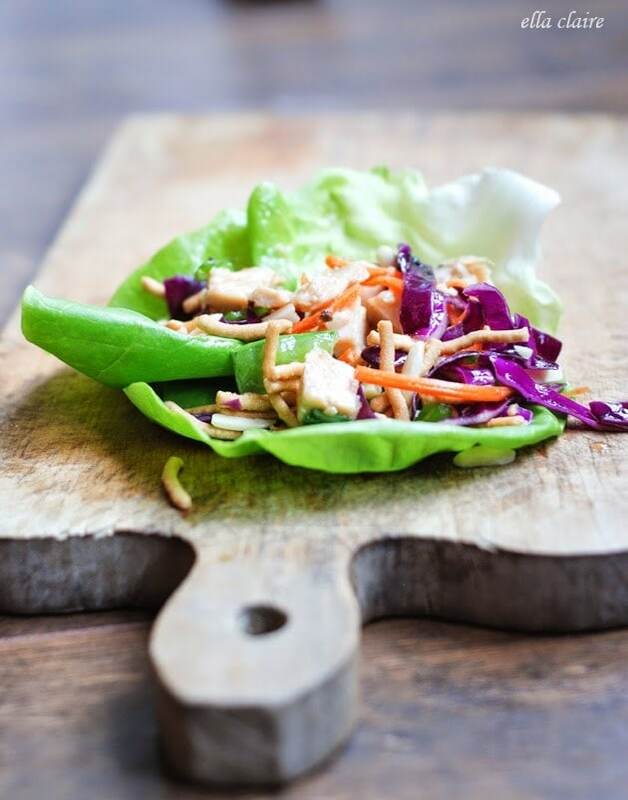 The key to delicious lettuce wraps, is using the freshest ingredients you can find. It really makes a huge difference in the flavor. Stay tuned! I have more lettuce wraps to share throughout the weekend! Here’s to a fresh, delicious and healthy summer!